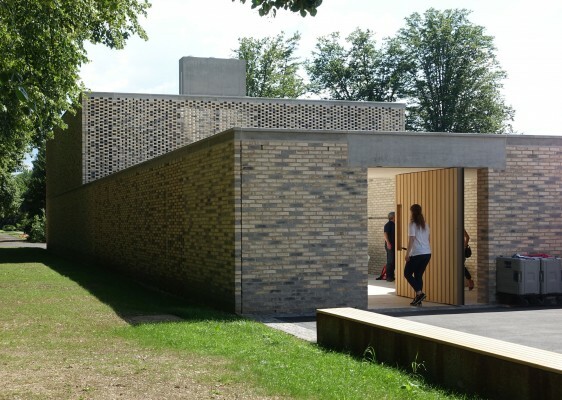 The new L-shaped crematorium is located on the premises of the Hörnli cemetery in Basel and is connected to the existing building. 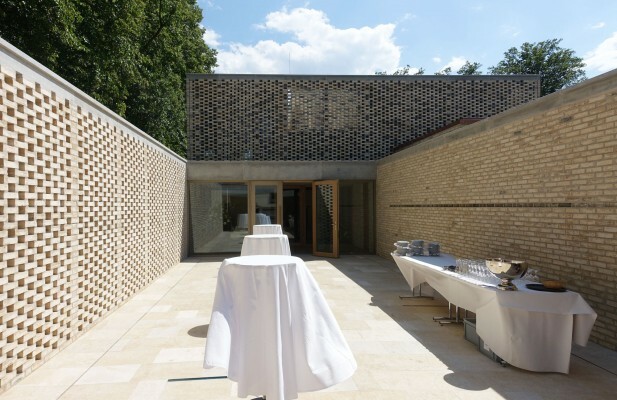 It is characterized by the calm rhythm of the brickwork which offers partial insights between the bricks, thus closing off the entrance to the crematorium without sealing it off completely. 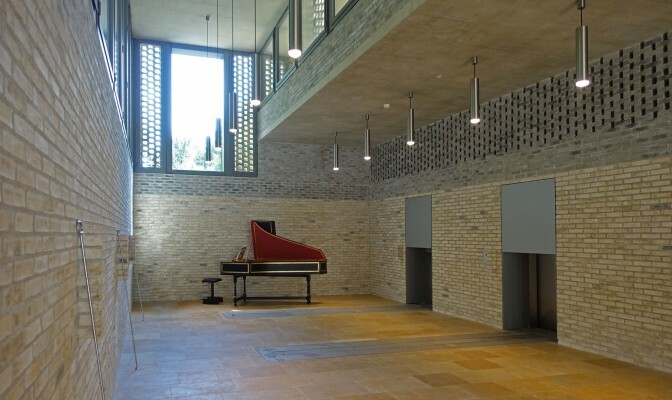 Next to the visible, load-bearing brickwork, the main load-bearing elements of the cooling, oven and technical chambers are made of reinforced concrete. The slab above the oven chamber on the ground floor is pre-stressed without bond. The lateral stability of the building is achieved by the reinforced concrete walls. The foundation consists of a reinforced concrete raft on gravelly and sandy earth.